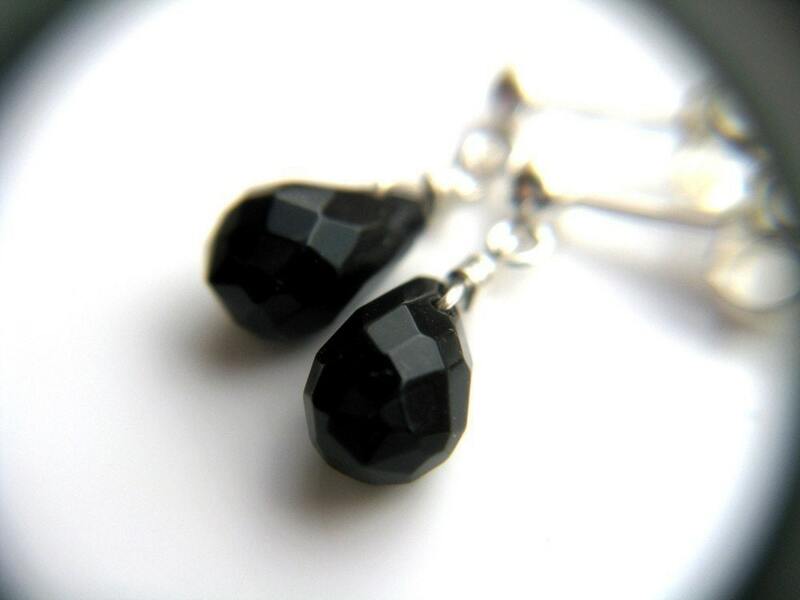 These black teardrop earrings feature natural 6x9mm AAA Black Onyx faceted teardrops wire wrapped in Sterling Silver. 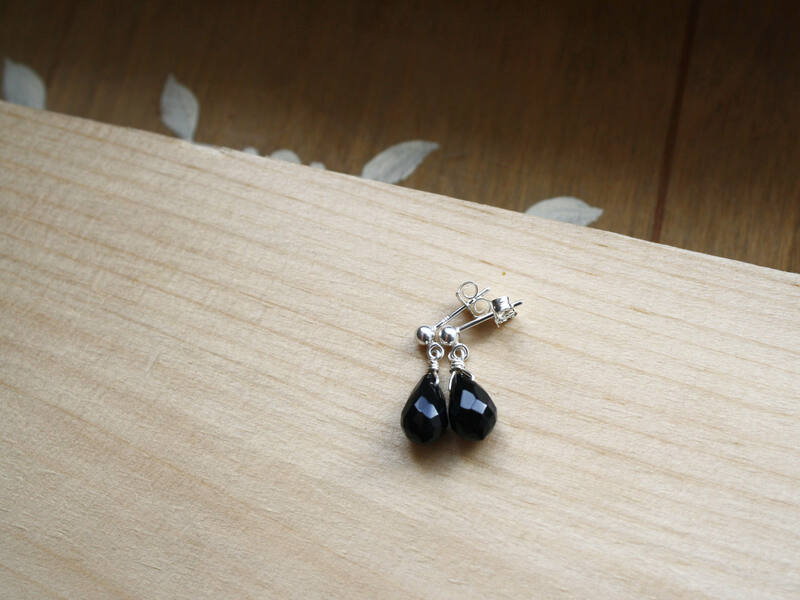 These onyx stud earrings measure 3/4 of an inch from the bottom of the drop to the top of their Sterling Silver ball-end posts. 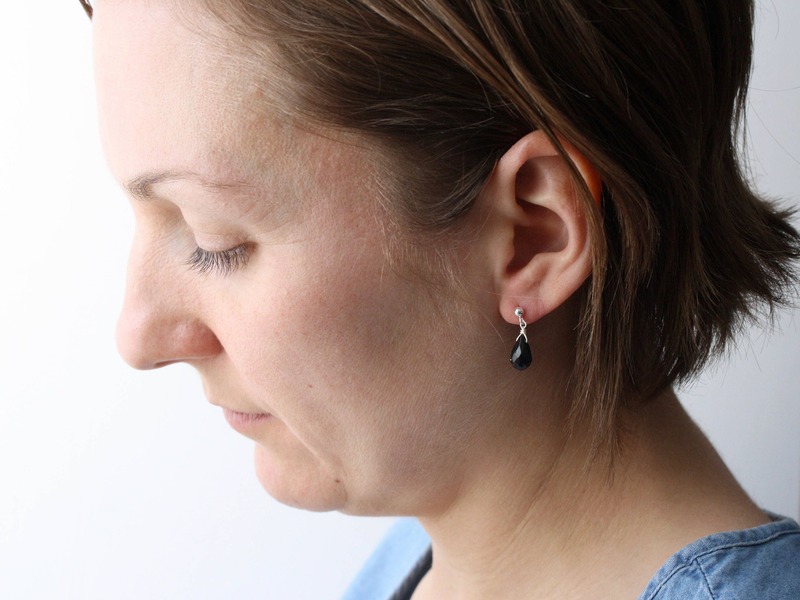 Lovely, understated studs, as pictured. 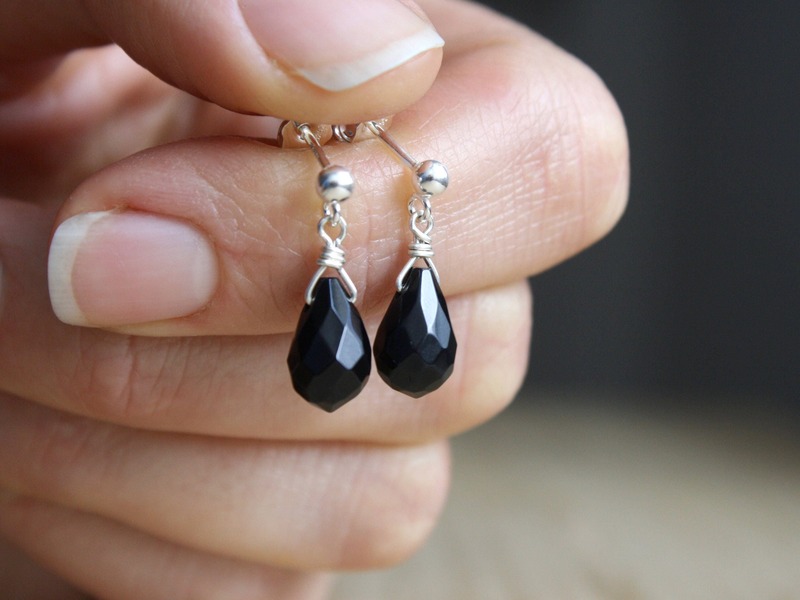 Love these black drop earrings! I ordered these for my Mom and she just loves them!! The item shipped the very next day and Amy was absolutely wonderful to work with! 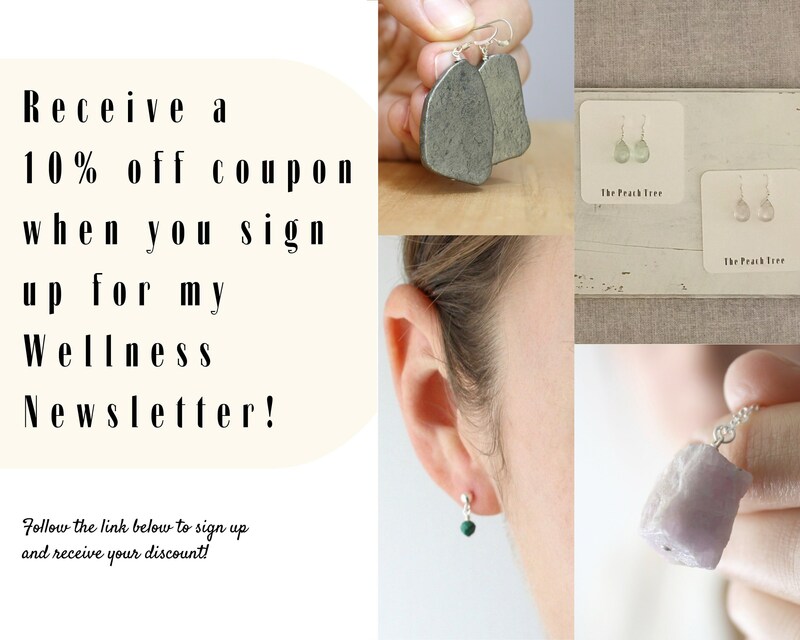 Thanks for making such beautiful jewelry! Perfect!! Great seller. Quick delivery. Will purchase more from this seller.